Rejection is a natural part of the sales process. It’s hard to avoid, and even harder to face. However, have you ever considered the silver lining of rejection? Maybe all of those “nos” have made you who you are today. Hearing “no” forces salespeople to climb out of their shell, think outside of the box, and reach for new horizons. Working in sales and facing “no” on a daily basis can help you build critical skills that can prepare you to withstand and excel against the rigors and challenges of the business world. Enduring a little rejection now can train you to be resilient, flexible, and mentally strong – all skills that can benefit you greatly as you grow your career. In order for someone to grow as a sales professional, he or she has to understand what works and what doesn’t work. When you recognize that some part your pitch, approach, or presentation isn’t working, you learn how to make critical decisions to correct the problem and get back on track. You discover how to do better, so that it does work the next time around. 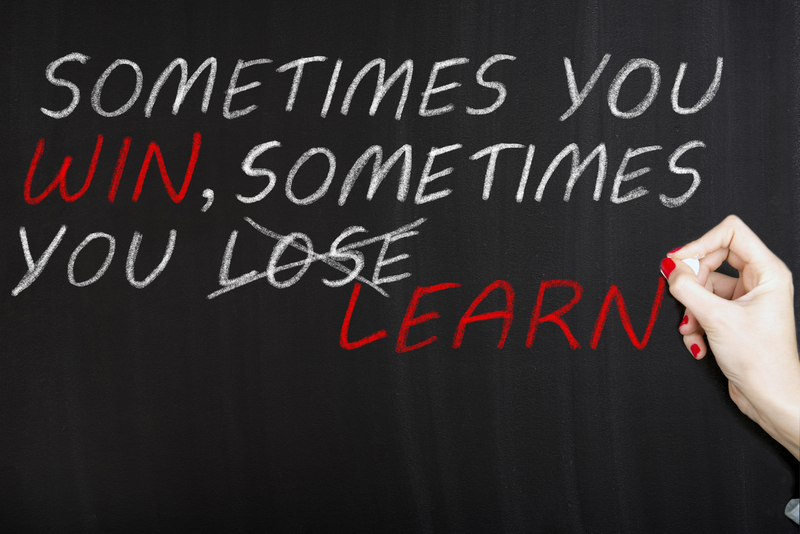 Salespeople are constantly learning, trying to improve the process. Only with a “no” can you get that much closer to a “yes.” Since business is an ever-changing landscape, as you progress through your career, having the ability to learn will make you a more desirable hire. It’s what fuels your personal growth. We all know the saying: patience is a virtue. Boy, is that true, especially in the world of sales. The sales business is a numbers game that teaches you to accept that if the first customer says “no,” you just have move to the next one and keep going. There is no room or time to throw up your hands in exasperation. The best salespeople understand that a successful sales day is a marathon, not a sprint. Over time, sales professionals learn how to maintain a patient, positive mindset no matter what. Developing this kind of unwavering resilience will also prepare you for managerial positions, even owning a company. Things will go wrong, people will quit, rejection will befall you, and unfair things will happen. Maintaining your patient disposition through it all is what will set you apart from the competition. Salespeople can’t afford to be stuck in their ways. Sales is a process of experimentation and refinement. When good salespeople face rejection, they learn how to rethink their approach to avoid a sales blunder in the future. Overtime, sales teaches you how to apply self-discipline to correct course, test new approaches, and perfect your pitch until you can consistently deliver results. Sometimes, you face rejection because your communication skills weren’t up to par. Perhaps you misspoke, failed to listen, or just delivered a message without any energy. Communication is the cornerstone of every business interaction. Hearing “no” can inspire you to do what it takes to hear that “yes” next time. You’ll refine your messaging and communication approach. Within business, communication is how critical information about sales, services, and products is relayed to key stakeholders. You need to know how to communicate quickly, effectively, and with authority. It’s time to get started. Finally, it’s inevitable that rejection is going to force you to develop thicker skin. However, that’s not a bad thing. In the world of professional sales, it’s an incredibly important attribute. You’ll learn to listen to your gut and intuition, rising above rejection to focus on what you need to do to get the job done. You’ll develop your own personal shield that keeps you protected. As you climb towards the top, this internal toughness will better prepare you for the obstacles and stakes ahead, like hiring/firing decisions, expansions, acquisitions, and the list goes on. We all know the time-old adage, “what doesn’t kill you makes you stronger.” In sales, this saying proves true. A healthy amount of rejection is necessary for personal growth and advancement. The next time you’re faced with a “no,” smile, for it is another opportunity to grow and flourish as an individual and a professional; it’s another opportunity to see things in a new light and appreciate a new way of doing things; and it’s another opportunity to become wiser, stronger, and better. What have you learned from rejection in the past, and how has that helped to accelerate your personal growth? Share them with Cydcor in the comments below.